Very Good. 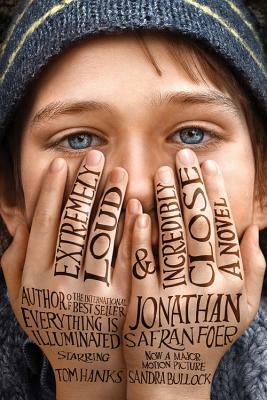 Extremely Loud & Incredibly Close by Foer, Jonathan Safran. Trade paperback (US). Glued binding. 326 p. Contains: Illustrations, black & white. Intended for a young adult/teenage audience. I rate this book a "fair +"; not quite good. Interesting concepts and overall narrative. Heart rending journey of a young boy dealing with 9/11 in some ways all alone, with only his boyish perspective to help him sort things out. Positives: understanding perspectives, thought processes of the young protagonist. Comparison with our bombing of Dresden during WWII, with some excellent historical tidbits. Negatives: writing convoluted, and not too confusing to follow but also not fun to have to try to follow. Kind of gross descriptions of sexual encounters: too explicit (for no good reason that I could appreciate), and inappropriate since a grandmother was allegedly describing these to her grandson. Some interesting characters, but the story developed them in disjointed segments. Again, just not fun to follow. I wouldn't recommend it only because there are too many books to read. Why waste your time on a so-so one unless you want to read everything written on the ramifications of 9/11. I did not like this book at all. It was extremely gimmicky & incredibly disjointed. There was nothing I liked about it nor did my book club & I cannot imagine how they can make a movie about it unless they completely rewrite it. I honestly believe Foer to be one of the English language's next great writers. Everything is Illuminated proved that, and Extremely Loud does its part to affirm his great talent. The story is about a young boy who's father was killed in the 9/11 attack, and his journey throughout New York City to reconnect with what he has lost. This masterful story brilliantly highlights the human condition and brings a consciousness to all Americans who feel a part of their innocence was lost on 9/11. The book is a story about Oskar Schell, a 9-year old whose father was killed on 9/11. Schell is a precocious, intelligent child and also one who has been crushed by his loss. He refers to his sadness as ?heavy boots,? and he wears them often. The story is also framed by Oskar?s grandparents ? his grandfather, who left the family long before Oskar was born, lived through the horror of the Dresden bombing and has lost the power to speak. He is so terrified of emotional pain that he?s withdrawn, staying mute and needing to create ?Nothing? spaces to exist in. His torment is brutal, and because he doesn?t speak (his hands are tattooed with ?Yes? and ?No? to make communication easier), he writes letters to his son from afar. The book incorporates pictures that Oskar takes with his grandfather?s camera (passed onto him), many of which he snaps while investigating what he hopes is a clue to get him closer to his father, even in death. He discovers a key in a vase his father bought, and is determined to find the lock which it opens. Watching Oskar go through this exercise, and learn how to cope with his loss, and the horror of that day, is a hard thing to do. This is literally one of the sadder books I?ve ever read, but because it?s so emotionally connective, I enjoyed it immensely. Foer is a sickeningly talented writer (married to Nicole Krauss, another talent) and often he seems to be grinning while he writes, but he continues to be able to portray pain and sadness alongside humor in a distinct voice. This is a fantastic book. Jonathan Safran Foer's novel about a young boy named Oscar dealing with a loss in the wake of 9/11 explores much more than this present day event. The novel's twists and turns through Oscar's adventures around NYC and deep histories spanning generations make this book one that you can't put down. It is creative and inventive and is unlike anything else I have ever read. Read the first page and I promise you won't put it down!